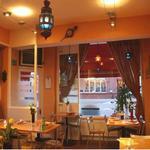 Mezza offers diners a superbly authentic selection of Lebanese cuisine from its stylish location on Lower Richmond Road. Do you work at Mezza Restaurant? What did you think of Mezza Restaurant? 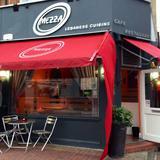 There's quite a few Lebanese restaurants in London now but Mezza is my favourite. My mum is Lebanese and she swore by it for ages and insisted I went, so I took my girlfriend. We were both very impressed so Mezza has my many thanks! 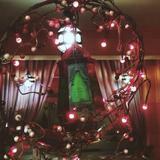 It is a very small restuarant with authentic decorations. 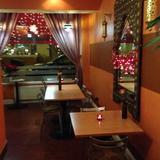 The owner and the staff are very friendly and efficient. I am a local so I go to this restuarant quite often and not once it has disappointed me and my friends. The meat is tender and well cooked. The price is very very reasonable compare with the quality of food. From starters to desserts the food are superb and it has a lot of interesting choice. It is ashamed that the restaurant is not very full due to its quiet location in Lower Richmond Road instead of Putney High Street. I really wish the owner success as he really deserves it. Excellent food, highly recommended.